The U.S. Court of Appeals for Veterans Claims was established by Article I of the Constitution to review decisions of the Board of Veterans’ Appeals (BVA), which is part of VA. This court has exclusive jurisdiction over these types of cases. The court reviews decisions appealed by claimants who believe the board erred in its decision. The court’s review is based on the record before the agency and arguments of the parties, which are typically presented in a written brief, with oral argument generally held only in cases presenting new legal issues. Survivor benefits cases relate to decisions on whether survivors of Veterans killed in the line of duty will be granted VA benefits. This can include education payments, medical coverage and even lost wages. Service-connected disability claims relate to any case searching for disability benefits for a Veteran who was injured while serving his/her country. This type of case will typically seek disability payments, medical coverage and payments, and education payments. Some cases may involve dispute over education payments – either the amount or frequency. Other cases involve claims of benefits such as medical coverage and payments, and may be seeking coverage for specific ailments, surgeries, medicines or other therapies. Waivers of indebtedness cases involve requests for the VA to waive, or cease collection on, a debt that is owed for education, disability benefits or medical costs. VA home loan eligibility involves the Board of Veterans’ Affairs decision in matters of eligibility of a home loan. The court mainly reviews the board’s decision or just as the Veterans law judge reviewed it at the BVA. However, BVA will consider new evidence once the file has been returned to them. The court primarily makes its decisions based on whether a legal error was made when BVA denied the claim. The court operates on strict timelines for paperwork and filing, and these are outlined on the court’s website as well as the process. Either the appellant (claimant) or the appellee (court attorney) may request extensions for filing necessary documents. Court documents and responses are filed electronically. Sometimes a record may be sent to the representative of the Veteran for review via mail. The court has two clerks who handle all paperwork and filings. Remand – The court issues this type of decision most often, and this means the BVA’s decision has been overturned and the BVA is required to make a new decision after finishing actions outlined by the court. Grant – The court rarely grants the claim and automatically gives the Veteran everything he/she is asking for. Deny – The court can also outright deny the claim. If this happens, the Veteran still has the option to appeal to the Federal Circuit, but only in cases where actual VA law is in question. If the case doesn’t involve actual question of the VA laws, the Veteran may start over with a new claim to VA. The court may issue decisions within a few months or may take more than a year. There is no set amount of time for the court to issue a decision. Many times, this period depends upon the type of appeal and the defending attorney for the Secretary. In 2014, the court’s annual report stated that the average time between filing an appeal and the court issuing a decision as a whole was 286 days. In cases where a single judge’s decision was rendered, the time frame was only 69 days. When an appeal is filed, it is assigned to a judge. It can be reviewed by only one judge, a panel of three judges and although rare it may be heard “en banc” by all nine judges. Most decisions are issued by a single judge. Veterans should remember that the caseload for these judges is quite substantial – nearly 175 per judge were assigned in 2014. 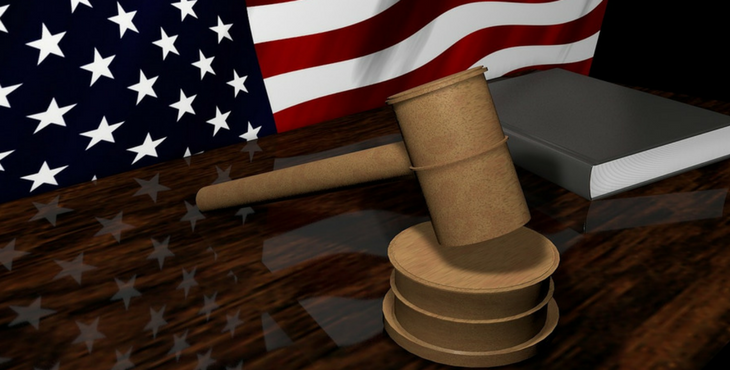 Congress enacted the Equal Access to Justice Act in 1980, which states VA will pay attorneys’ fees for representation in the Court if the Veteran’s case prevails. Emily Andrews is a writer at RecordsFinder blog, an online public records search company. She covers community problems and solutions, she believes in compassion and defending the defenseless. If one misdiagnosis, leads to another.. first by the Army docs, and then the VA contractors, and this continues..as all the problem increase. Then after you resign the Regular Army commission you spent 4 years earning, still with the same false diagnosis and no and the wrong care..
UNTIL, the big crash, your placed in the foreign county hospital where the civilian ER doctors get the correct diagnosis. FINALLY 100% disabled and in a wheelchair. Since its obvious that it started in military, that is service connected, shouldn’t a disibility discharge been determined? The reasons for requesting the resignation where all based on incorrect positions / facts as falsely seen and relayed. If the Army, looked at all the medical information and changes in medication and problems it would have made this determination! Compounding this, if the VA had read their own reports, they would have known the probabilities, of my problems, which are exactly the same originating from the toxic problems at Ft. McClellan during the same time period. The problems at Ft. McClellan where known about by the BVA never considered. So, what is the “fix” or adjustments to all the PROBLEMs created? It took how many years to acknowledge issues w. Vietnam, Are we then “friendly fire” casualties? 41 years of non doctors over ruling civilian and VA doctors concerning my need for a replacement knee. Over and over the appeals went. Finally, the non doctors recommended surgery at John Dingell VA hospital in Detroit. The last two VA doctors both advised me NOT to have it done at the VAs worst hospital. Newspaper reports in the Detroit News and Free Press both had stories about the ZERO star rated hospital. The Dingell family wrote how disgusted the were with the VAs management of this hospital bearing their fathers name. You the VA cheated me the vet out of a normal life , my compensation, causing homelessness, divorces, and more. Just tell me how the court would FIX this . I just wish the very few who got bonuses for saving the VA money at my family’s expense rot in hell. This captcha is faulty Tried for hours and it finally dry my comment. The simple question that comes to my mind, as a result of this article is – if most of the cases are remanded back to BVA, who is accountable for correcting this one factor that is helping clog the appeals system? If the CVA has to keep returning the widget that was not properly considered, it seems like a “fix” at this point in the overall org chart “might” help the veteran (the person that this whole thing is suppose to be about).